GRADUATES - WANT TO STAND OUT FROM THE CROWD? Do you want to develop your problem-solving skills, make a meaningful contribution to new knowledge and stand-out in the highly competitive graduate job market? 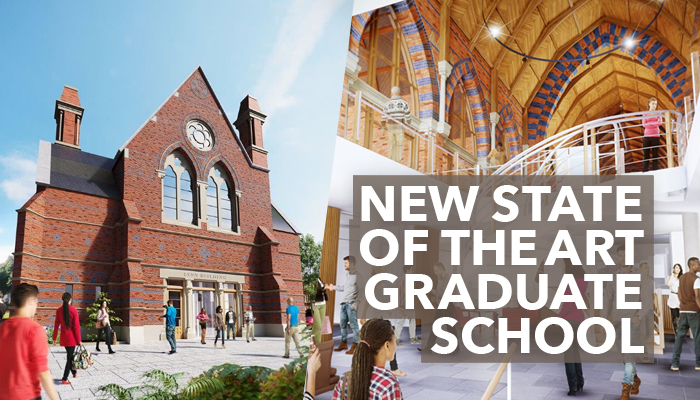 The inclusive postgraduate research community at Queen’s Graduate School is waiting to welcome you. Find out more below. Experience our culture of opportunity, innovation and enterprise for yourself through a brand new series of inspiring Postgraduate Research Events designed to motivate you to start your own transformational postgraduate research journey at Queen’s. Join us for the first event (at either 1pm or 6pm) in the series on Wednesday 24 January and discover how together, we can shape a better world. Hosted by Professor Margaret Topping, Dean of The Graduate School, you’ll hear from Queen’s world-leading researchers and current students on how they transformed enthusiasm for a topic into breakthroughs, publication and societal impact. If you would like to discover the opportunities for personal and professional growth and hear from employers on why Queen’s postgraduate research students have the edge, then this event is for you! There will also be a chance to network with faculty experts and the Queen’s University Admissions team, as well as with representatives from The Graduate School. Find out more about the exciting and rewarding postgraduate research opportunities at Queen’s for 2018 entry. Explore the range of funding and studentship options available. Discover how we can enhance your career prospects through tailored development programmes and specialist support. Experience our state-of-the-art postgraduate facilities and discover how this supportive community inspires intellectual exchange and collaboration. Hear from employers on why they value the skills, knowledge and experience you’ll develop through postgraduate research. Learn about how research at Queen's is making an impact on the world and how your discoveries can help us contribute to society. To register and to find out more visit the dedicated event webpage.